How can I top previous years? It was hard. 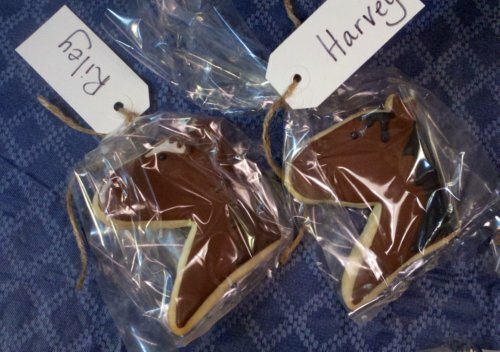 But, I found these cookies on Etsy.com from Cookies by Becky -- her stuff is so reasonably priced, I ordered a custom cookie for each horse in our barn, with markings etc. Oh, and a cake, this time chocolate, from a company called the Flour Shop (I'll show you that tomorrow). Very Cute! Lucky fellow boarders :) Happy 25th Harv! Happy Birthday, Harv! You are one special guy. Those are fabulous cookies! Happy Birthday to Harvey - I'm sure everyone in the barn appreciates his birthday rolling around. 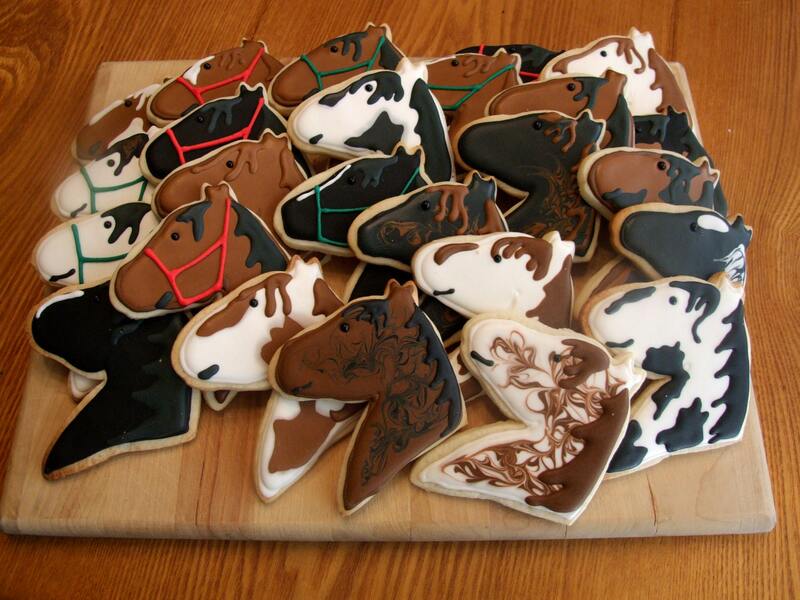 Those are the coolest horse cookies ever! What a special gift! too pretty to eat :) Can't wait to see the cake! The Flour Shop looks FANTASTIC and too bad they don't ship (if they do, I didn't see it--just places where you can buy their goods). That Irish Soda bread looks wonderful. And the cookies are wonderful. Hope everyone (including Harv) has a wonderful time. Happy birthday to you, Harvey! I'm so happy you enjoyed the cookies & they arrived safely!! Happy Birthday Harv! What a lucky horse to have you taking care of him.